In 81 days, country music legend Merle Haggard will be in Water Valley performing on the first night of the three-day Bulls on the Beach event held in Windsor. 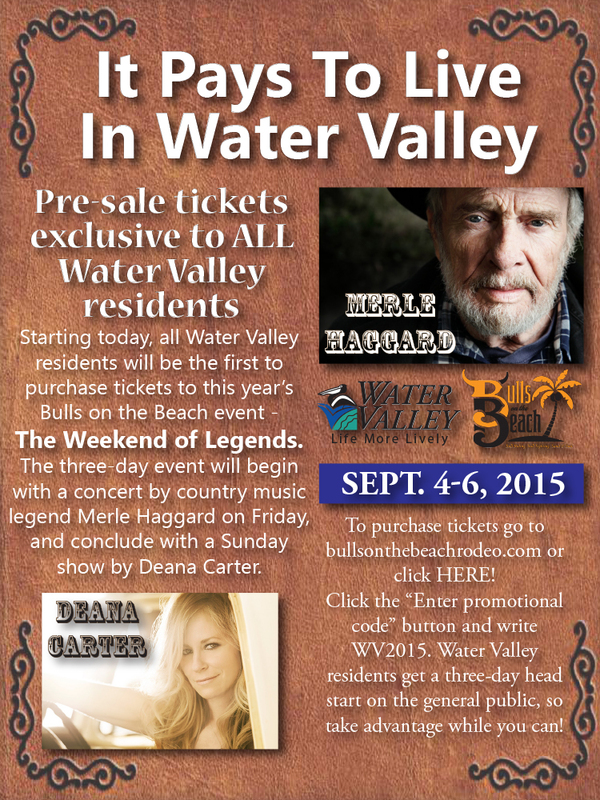 All Water Valley residents, since Bulls on the Beach will take place in Water Valley South, will receive the first opportunity to purchase tickets to not only the Merle Haggard or Deana Carter shows, but the entire rodeo event. Click here to purchase tickets. Click on the “Enter promotional code” button and write WV2015.